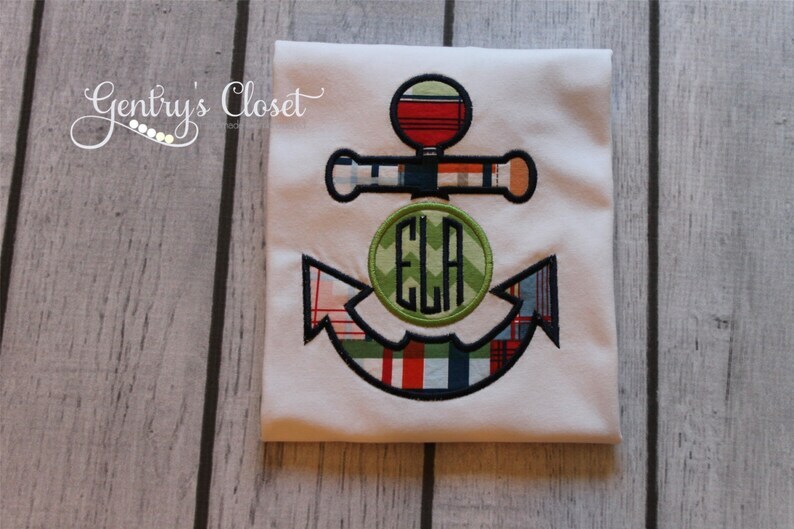 This trendy, nautical, plaid anchor is split with a cute monogram in the center. Available on a shirt or infant bodysuit for boys and girls. Adorable for the beach or a nautical themed baby shower. Newborn, 3, 6, 9, 12, 18, and 24 month. Please specify your sizing, sleeve length and monogram (in this order: First initial, Last initial, Middle initial) in Notes to Seller at checkout.